So much for President Donald Trump ending the Fed or even auditing it. 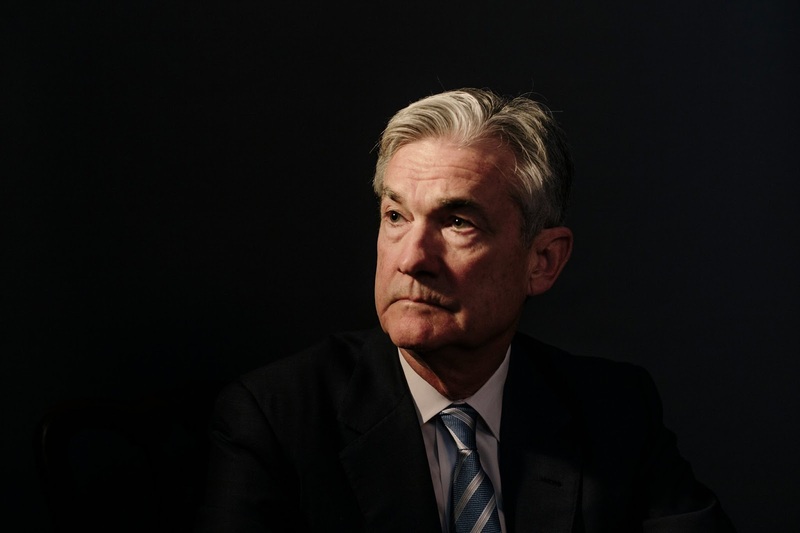 The President has just nominated Jerome "Jay" Powell to head the Federal Reserve following the expiration of Janet Yellen's term on February 3, 2016.
career inside the top levels of the establishment. In 1979, Powell moved to New York City and became a clerk to Judge Ellsworth Van Graafeiland of the United States Court of Appeals for the Second Circuit. From 1981 to 1983, he was a lawyer with Davis Polk & Wardwell, and from 1983 to 1984, he worked at the firm of Werbel & McMillen. In 1993, Powell began working as a managing director for Bankers Trust. From 1997 to 2005, Powell was a partner at The Carlyle Group. In 2008, Powell became a managing partner of the Global Environment Fund, a private equity and venture capital firm that invests in sustainable energy. In December 2011, Powell was nominated to the Federal Reserve Board of Governors by President Barack Obama. Most noteworthy for those who have supported Ron Paul's Audit the Fed bill, on February 9, 2015, at the Catholic University of America, Columbus School of Law in Washington, D.C., Powell devoted an entire speech to attacking the bill. [The proposal is] motivated by the belief that the Fed's response during the crisis was both ineffective and outside the bounds of its traditional role and responsibilities. In fact, the Fed's actions were effective, necessary, appropriate, and very much in keeping with the traditional role of the Fed and other central banks. Second, these proposals are based on the assertion that the Federal Reserve operates in secrecy and was not accountable for its actions during the crisis, a perspective that is in violent conflict with the facts. The Fed has been transparent, accountable, and subject to extensive oversight, especially during and since the crisis. We have also taken appropriate steps since the crisis to further enhance that transparency. Third, and most importantly, I believe these proposals fail to anticipate the significant costs and risks of subjecting monetary policy to political pressure and constraining the Fed's ability to carry out its traditional role of providing liquidity in a crisis. 1. [The proposal is] motivated by the belief that the Fed's response during the crisis was both ineffective and outside the bounds of its traditional role and responsibilities. Yes, but….. The proposal is ultimately motivated by the FACT that the market does not fail and has not failed and does not require stimulus or the artificial creation of credit. Further, the “solutions” to this non-existent problem are the cause of the alleged problems the policies are allegedly trying to solve. Libertarians constantly fail to educate the public to this simple truth and allow the statists to start the story in the middle. 2. Second, these proposals are based on the assertion that the Federal Reserve operates in secrecy and was not accountable for its actions during the crisis, a perspective that is in violent conflict with the facts. No, the assertion is true. 3. Third, and most importantly, I believe these proposals fail to anticipate the significant costs and risks of subjecting monetary policy to political pressure and constraining the Fed's ability to carry out its traditional role of providing liquidity in a crisis. The proposal could possibly result in overt congressional control of “monetary policy”. Note that David Stockman has claimed that the “original” (aka "traditional") role of the Fed was solely to provide liquidity in exchange for good collateral at penalty interest rates. Yep, the damned "dual mandate", which of course provides enough cover for them to bail out their buddies.